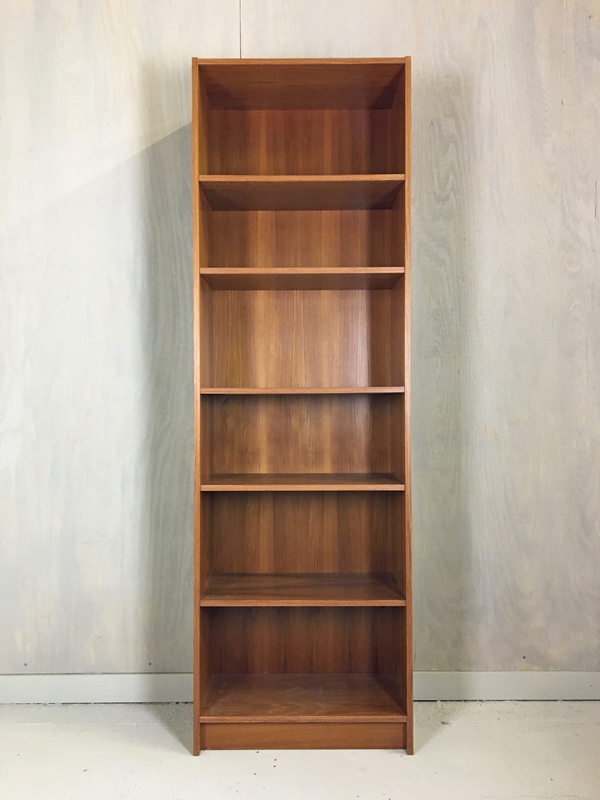 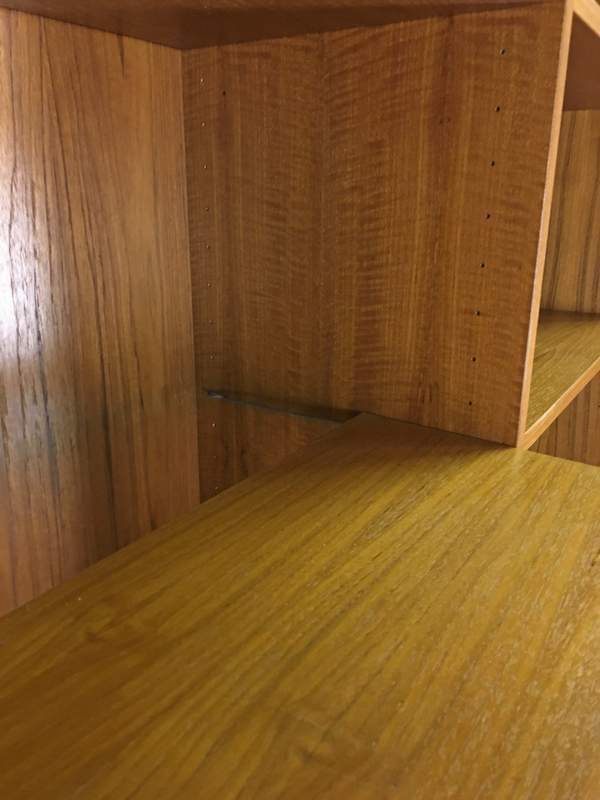 This teak shelf unit circa 1970s features four adjustable shelves and a stationary one in the center. 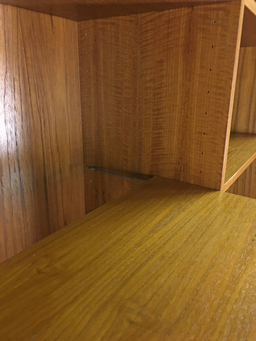 Wire mechanism for easy shelf adjustment. In excellent condition. 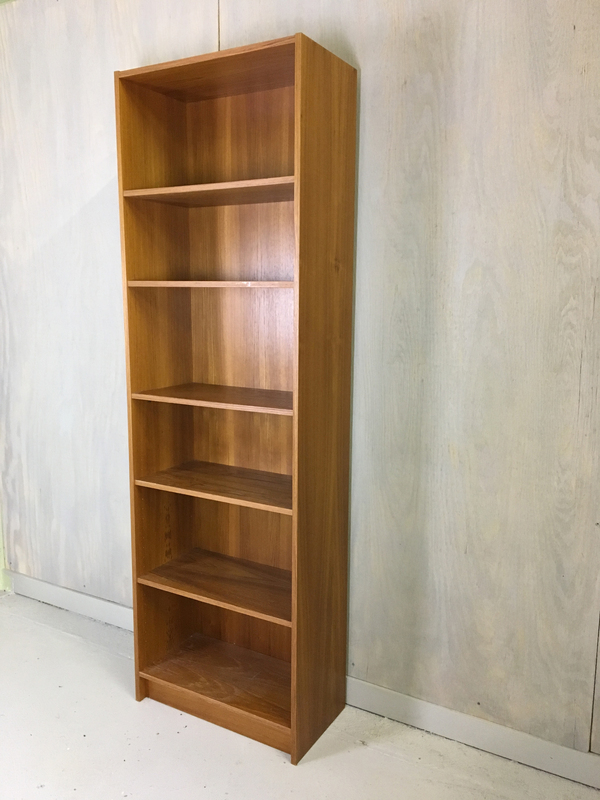 Other sizes available – see separate listings.